Michael Patrick O'Brien (3/13/1922 -1/18/2019), Husband, Father, Grandfather. 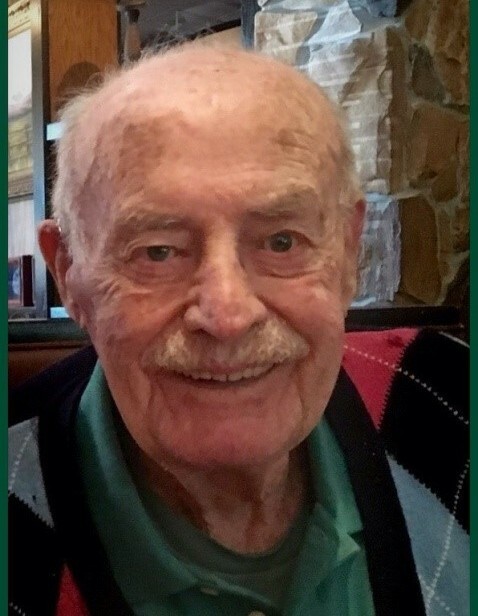 Macedon: Michael passed away on Friday, January 18, 2019 at age 96. He is survived by his loving wife of 65 years, Joan O’Brien; seven children: Maureen O'Brien Oser, Kevin O'Brien, Sheila O'Brien, Siobhan O'Brien, Brendan O'Brien, Deirdre Rosenberg and Declan O'Brien; eleven grandchildren: Kelsi and Jeremy Oser, Elizabeth and Therese O'Brien, Michael and Connor O'Brien, Jared and Andrew Rosenberg, Alec, Aidan and Caitlin O'Brien; sister Peggy Hickey, and wonderful family, friends and neighbors. Michael was born in Bantry, County Cork, Ireland, one of 14 children. In his twenties, he immigrated to the United States to seek better opportunities. He arrived in New York on Thanksgiving Day, and told and retold the story throughout his lifetime in the form of a poem. After a couple of years of living and working in Upstate NY, he was lonely for the "old sod" and decided to go back to Ireland. With some money in his pocket, he bought a one-way ticket back home. It was on this trip that he met Joan Twomey - his future wife and the "love of his life." Michael or "Mikey" as he was affectionately referred to, was always a real "charmer". Joan lovingly referred to him as her "Duke". Michael returned to the United States knowing he would be able to find work and support his future wife. He sent poems and letters to Joan for the next year until she followed her "Duke" to America, where they were married and began their lives together. Over his lifetime Michael worked at the American Can Company; he owned and operated a Landscaping Company, Mike's Nursery, whose motto was "Greener Lawns by the Leprechauns," and ultimately, he retired from the Fairport Central School System as an Area Grounds Supervisor. Michael never met a stranger. He always had a story, or an old Irish poem or a joke to tell you. He would sing a song or recite an old Irish Ballad to anyone who would listen. Yes, he really was a charmer. He valued and embraced lifelong friendships from folks he met delivering a tree or putting in a lawn, as well as his wonderful community of neighbors from Macedon to Fairport, including members and clergy from the Catholic Church. Michael loved to play cards with friends and family, particularly when "quiet money" was involved. He will be remembered most of all for being a loving husband to his wife of 65 years, Joan, a proud Dad to his seven children, a caring Grandpa to all of his grandkids and a friend whenever one was needed. A Memorial Mass will be offered on Wednesday (January 30), 11:15 AM at Church of the Assumption, 20 East Avenue, Fairport, NY 14450. In lieu of flowers, donations in Michael’s memory may be directed to St. Jude's Children’s Hospital, www.stjude.org.